Will drive you insane. I garuntee it. Bad quality, bad hosts, bad discussion = BAD PODCAST! DON"T WASTE YOUR TIME!!! I don't enjoy being critical, but this podcast cannot pass without a few remarks. The mics' are completely out of tune with each other. Also, Phoenix seems to grow more annoying with every sentence. He spouts phrases and sounds that he considers "funny," as evidenced by his choice to laugh at each "joke" he makes. Despite these two complaints, I have two compliments to the show: Kitty seems to have more experience and is easily a much more interesting host. Additionally, the information is interesting, for the most part. With better mics and a different host to work along with Kitty, this podcast would multiply its quality many times over. One of the hosts is really annoying (Pheonix)... and they really need to learn how to work the mics because its quiet one second and screaming the next... kinda annoying. hard to listen to the whole thing. 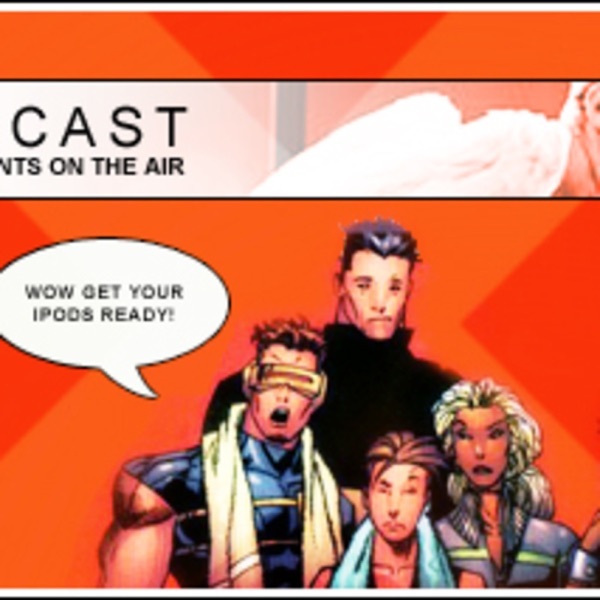 Being a big fan of all X-related media, I was a bit disapointed by the lack of structure with this podcast, especially seeing it is the only one of it's kind. The news seemed in rote and the almost child-like approach from one of the hosts was just a bit unpleasent to deal with. The other host, on the other hand, whom seemed much more mature and strong in her choices of discussion held her own on this podcast. I wish it were somply her being the one to host this podcast, for her opinions and statements were much more of what i would like to hear.